England remains a gaping hole in the devolution settlement. Devolution will not be complete, and the settlement may not be stable, until the English Question has been solved. 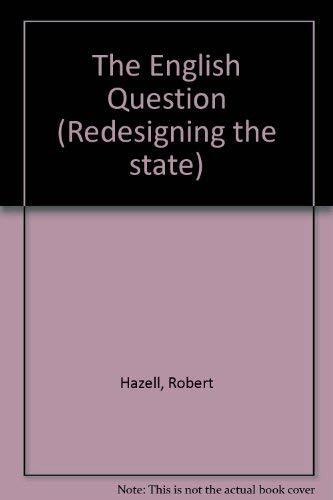 This book explains the different formulations of the question - does England need to find its own political voice following devolution to Scotland and Wales? 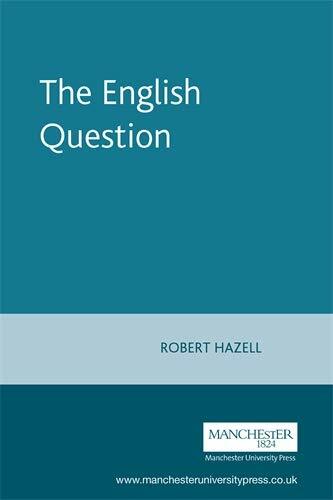 Do the English to want an English Parliament, Regional assemblies in England; or 'English votes on English laws'? Are the English content to muddle through, with no separate representation or political voice? The book opens with three historical chapters to root the current debates strongly in their historical context. It is also up to date, with analysis of the North East referendum result, and of the feasibility of English votes on English laws. This is an important and timely book, written by the leading experts in the field. It will be of interest to policy makers and practitioners, and to academics and students of devolution.